Kenworth was officially established in 1923, named after the company’s two principle stockholders: Harry Kent and Edgar Worthington. However, neither was part of the company’s formal beginnings. Edgar Worthington and his mother, Ellen, had residences in both Seattle and Quilcene. The early 1900s brought dramatic change to the Northwest as Model Ts began challenging the horse and carriage in the transportation race. Edgar was managing his mother’s commercial building, which was occupied by a car and truck dealership. 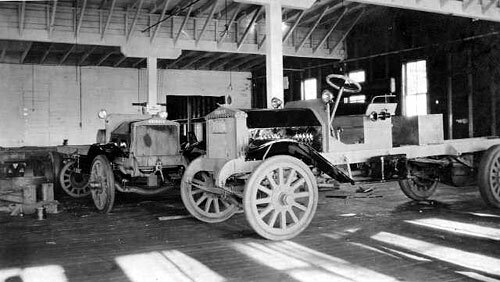 Edgar took a special interest in his tenant, the Gerlinger Motor Car Company, watching as they worked to sell and repair cars and trucks. 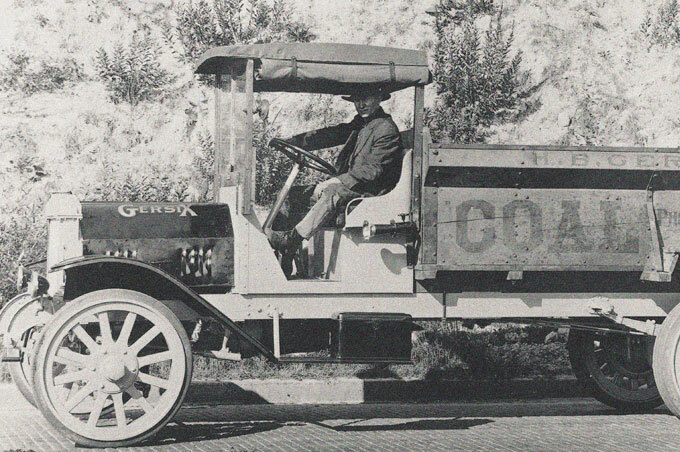 The Gerlinger Motor Car Company manufactured custom and semi-custom 6-cylinder structural steel trucks beginning in 1915. He never imagined that someday the company would be his. The Gerlinger Motor Car Company had offices in Seattle and Portland, but was struggling. In 1917, it was offered for sale. Edgar jumped at the opportunity to buy. Edgar’s business partner was Captain Frederick Kent, a retired Coast Guard Captain, investor and businessman. 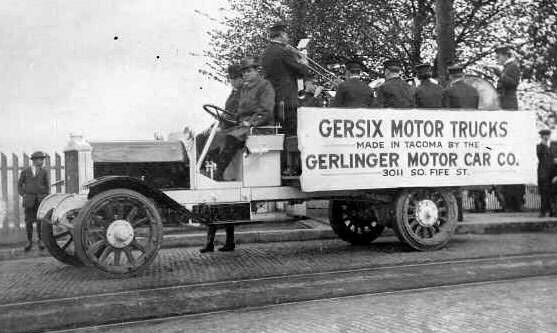 In 1917, they bought the struggling business and renamed it Gersix Motor Company, after the shop’s new truck. The Gersix became a popular fixture in the Northwest. Publicity for Gersix truck ca. 1916 while a brass band plays in the rear. Initial Gersix sales were positive, but further capital was needed to take the business to the next level. The two men decided to reincorporate the business in 1923. The new company became Ken-Worth, named after the two principal stockholders, Harry Kent and Edgar Worthington. 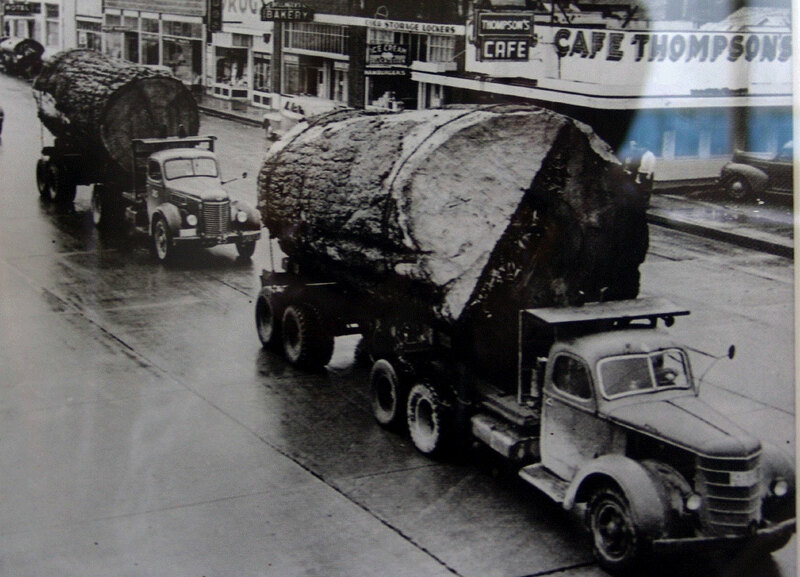 The Kenworth Motor Truck Company was thereby born, and headquarters were established in Seattle. It marked the beginning of a new era. 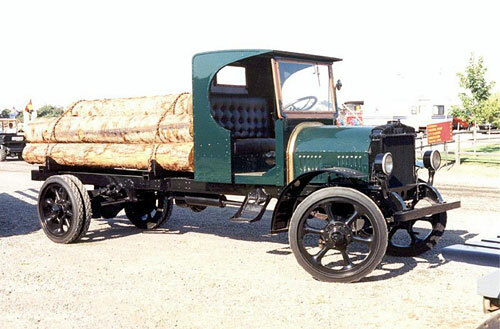 Edgar Kirk Worthington’s first custom truck, a six-cylinder Gersix built in a repair shop in Portland, Oregon. The original production facility was in Seattle on Fairview Avenue at Valley Street, then later moved to Mercer Street. 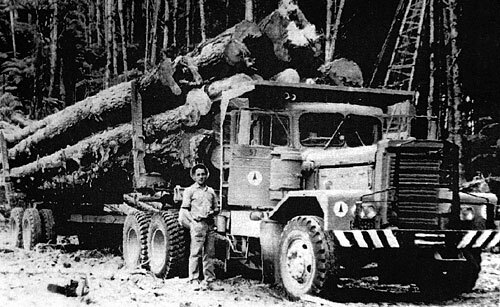 They made custom-built made-to-order trucks that were suited to the long distances and steep grades of the Pacific Northwest terrain. They built the trucks in individual bays instead of on an assembly line. In 1929 Kent’s son, Harry Kent, succeeded Edgar as president of the company. The depression hit the trucking industry, but in 1932 Kenworth began making powerful fire trucks and buses, and sleeper-cab trucks. The leadership of Kenworth Motor Truck Company was skillfully managed into the World War II years by President Philip Johnson by building heavy duty wreckers for the army and sub-assemblies for the Boeing B-17 bomber. In 1944 Pacific Car and Foundry purchased the company. Members of the Worthington family owned stock in Kenworth for many years, and all of Will Worthington’s sons worked there during their college years. Kenneth T. Worthington, (1909-2008) the youngest son, was treasurer of Kenworth for many years and retired from a successful career there in the late 1960s. Since then, Kenworth has been a division of Paccar (Pacific Car and Foundry Company), which now is a multinational technology company manufacturing commercial vehicles sold around the world. 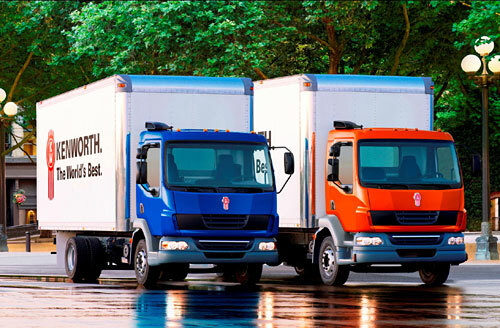 Paccar is a publicly traded company responsible for the Kenworth, Peterbilt, and DAF brands. Paccar is currently ranked No. 141 on the 2007 Fortune 500 list and No. 7 amongst motor vehicle and parts manufacturers. Its 2006 annual revenue is listed at US$16.5 billion. Its head offices are in Bellevue, WA; Kenworth’s headquarters are in Kirkland, WA.